Here we see the view to the south-east from close to the summit of Great Gable. The tarn in the centre of the picture is Sprinkling Tarn, with Allen Crags seen above and to the left. 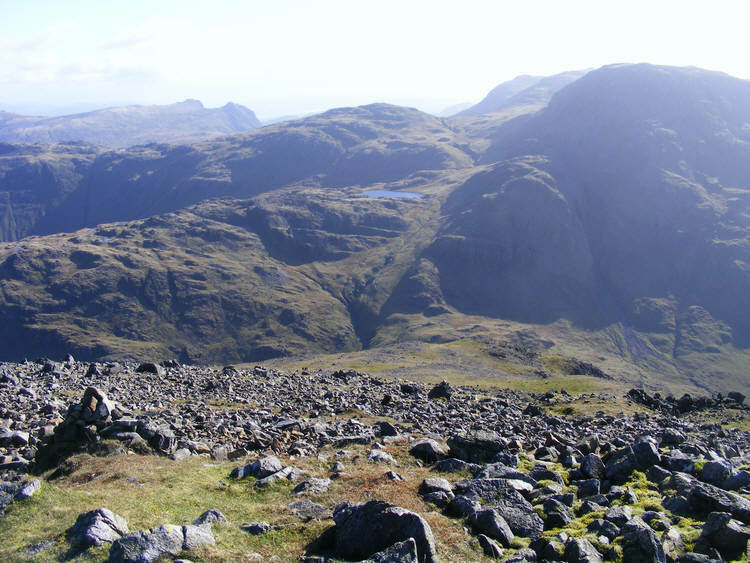 To the left of Allen Crags is the distinctive outline of the Langdale Pikes, while to the right we see the bulk of Great End, with Esk Pike in the back ground.